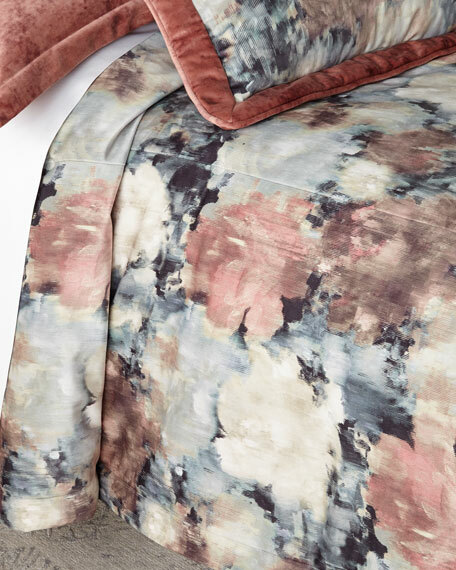 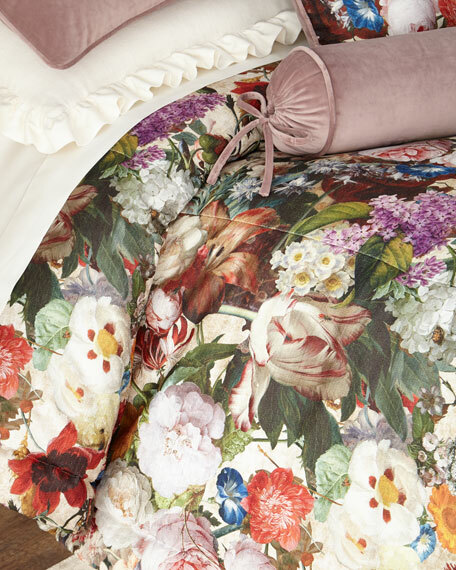 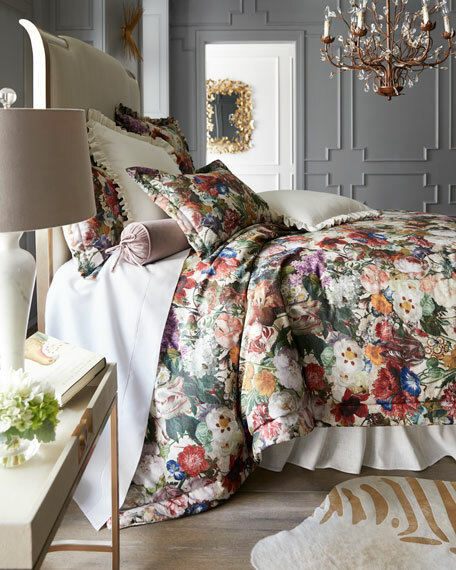 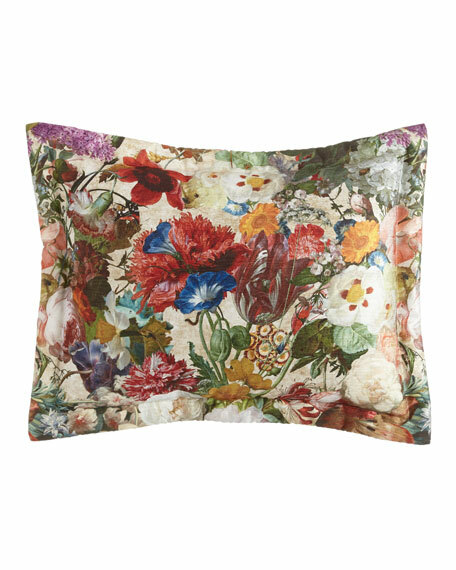 Set includes 108" x 95" floral comforter and two matching shams. 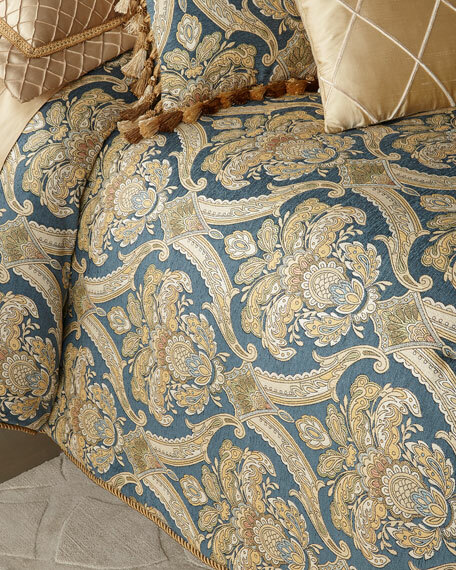 Comforter is hand-quilted polyester with 3" flange and cotton back. 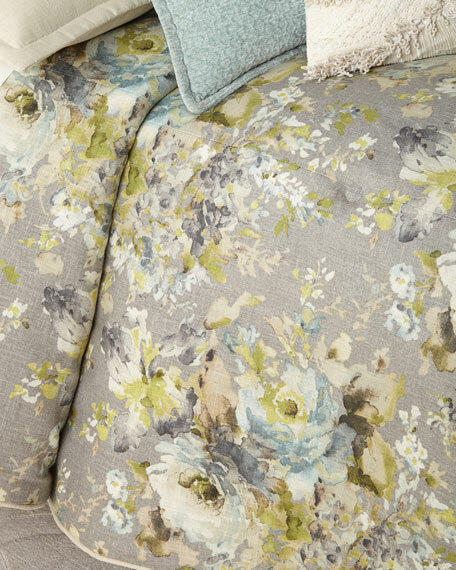 Shams have a 2" flange, polyester front, and cotton envelope back.